During Bishop Ian Douglas’s time with the Vestry, he encouraged us to think about how we are both disciples and apostles: We are all learners, growing in our life in Christ, and we are all sent to do Christ’s work in the world. He also talked with us about how our Baptismal vows call us to join God’s Mission as both disciples and apostles. 1. Worship & Prayer… shape, inform, and strengthen us as disciples of Jesus, as we hear God’s word in Scripture, pray for God’s world, and receive God’s Word in communion. We are sent from worship “to love and serve the Lord” as we care for those whom God loves. 2. Repentance & Forgiveness … As disciples of Jesus, we learn to acknowledge what separates us and others from God, and we are sent into a world of “hurt” to work for the reconciliation of all people with each other and with God. 4. Service … sometimes called “Outreach,” other times called “Inreach,” are among the ways we “seek and serve Christ in all persons, loving our neighbors as ourselves.” Think of all the ways we participate in service -- from support of the Food Bank, Thanksgiving Ingathering, the Fuel Fund, United Thank Offering, and Haiti’s Holy Trinity School; to our participation with refugee families; and in ECW fundraisers, Raise-the-Roof (Habitat), and Chapel on the (New Haven) Green. “Think Globally, Act Locally” was a popular bumper sticker slogan some years back. And the global challenges/opportunities for joining God’s Mission in these five areas are surely overwhelming. Yet our discernment process -- God’s Call to Us! Now & Into the Future -- may help us sort out where and how we feel particularly called to act locally. First, on behalf of your Vestry, please accept our gratitude for your support of the Parish’s annual operating budget through your 2015 pledges. You may remember from the Annual Parish Meeting that 2015 was forecast to be a challenging year financially: we could no longer expect $23,000 in giving from two friends of the parish. Considering the financial challenges we face this year, your faithfulness has been very important. Thank you! In response to this anticipated decrease in revenues, your Vestry reviewed all costs and has succeeded in reducing expenses in three ways. First, when our wonderful Sunday School Director decided to step down, we did not hire a successor. The Rector is doing as much of that job as he can. Second, we renegotiated agreements with utility providers and other vendors to cut costs. Finally, by buying a snow blower with proceeds from the Capital Campaign, we will substantially reduce our snow removal expenses this winter. At the end of September, as a result of controlling expenses and because a number of parishioners fulfilled their 2015 pledge commitments early, we were current on all our obligations and had cash to cover almost two weeks of expenses. Gifts continue to come in to complete the Capital Campaign; we are grateful for those as well. In recent years, October and November -- with their holiday weekends -- have been months when we have had to call upon reserve funds. Accordingly, if you can make additional pledge payments in November, it would be much appreciated. Even if everyone gives their full pledge by the end of December, the budget shows the parish will still run a significant deficit. To help reduce that deficit, I plan to make a contribution above my pledge. I would encourage all of my fellow parishioners who have the ability to do so to please join me. Statements through the 3rd quarter will be in the mail this week to help you plan your support of Christ Church in November and December. Enjoy two splendid vocal ensembles on Friday, October 30 at 7:30 p.m., when the Guilford High School Voices and the University of Connecticut’s Chamber Choir perform in the splendid acoustics of Christ Church. The GHS Voices, directed by Kevin Buno, include our own Andre Kish; the UCONN Chamber Choir is directed by Jamie Spillane. Admission is $15 at the door for adults; no charge for high school students and younger. A not-to-be-missed evening of choral music to inspire younger singers -- “you’ll get to do this one day,” and to delight their elders. There’ll be an opportunity to greet the singers following the performance in the Parish Hall. Contribute Favorite Recipes to Christ Church Cookbook! Thanks to everyone who has offered favorite recipes for the upcoming “Christ Church Cookbook”! We’re off to a good start, but quite a number of parishioners have not had a chance to share theirs yet. So there’s a new deadline of November 15. This will push publication into the New Year, but that’s a good thing: We’ll be able to include recipes from as many folks as possible, and there’s a substantial printing discount if we wait until January to submit our text. This discount will translate into higher profits! Once the recipes are all submitted to Rose Robinson, the tasks of transcribing recipes and organizing the book will need to be done. Please get in touch with Rose if you can help with these tasks, which can be done at home when you have a free moment. Many thanks to Rose for coordinating this project! We’ll all be looking forward to a tempting finished product! Let’s thank God and our ancestors for their vision! Their vision included a place to worship God “in the beauty of holiness,” and so they built our Gothic stone church and equipped it with fine instruments; their vision included a parish led by resident clergy, and so they acquired the rectory; and it included parish and community gatherings, and a Sunday School, and so they built, and later enlarged, the parish hall. Over the years we have joined God’s Mission in wonderful ways: prayerfully, joyfully, joining together in worship; lovingly caring for our neighbors and fellow parishioners; responding to international crises by welcoming refugee families into new lives in this country; restoring our historic church, rectory, and parish hall; and nurturing children in the life of Christ. What are our plans and dreams now? How will we respond to the needs of our parishioners, our neighborhood, our world? Times are changing ... how will we change? 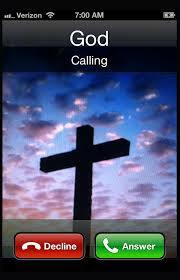 Discerning God’s Call to Us Now and into the Future will involve the prayerful attention of us all. In what ways might God be calling us to renew our participation in Christ’s mission? To reveal the love of Christ in a hurting world? These are exciting questions, full of hope and God’s promise. All of us are part of this process. No voice will go unheard. And the opportunities to come together will be fun and tasty! 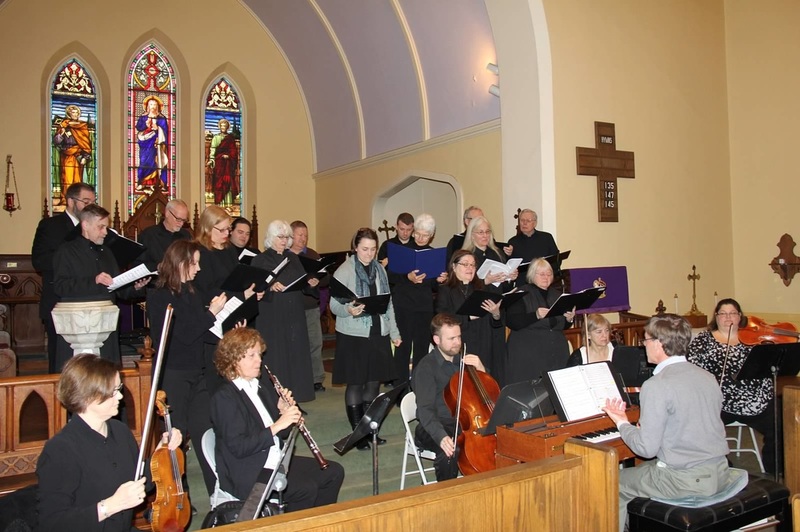 We kicked this off with a Potluck Supper and Hymn Sing on October 18. We ate well, talked about favorite hymns and what they mean to us, and enjoyed singing many of them together. The next phase involves small gatherings in homes of fellow parishioners. If you have yet to return a “What Works for You” form with suggested dates and times for brunch, tea, or supper, please do so now, or contact the parish office. These gatherings are about to begin; and we want you to be sure you’re included. The September and October meetings were held in the parish hall on the second Thursday of both months (9/10 & 10/8). We were happy to return to our meetings after the summer break and renew fellowship with our membership. 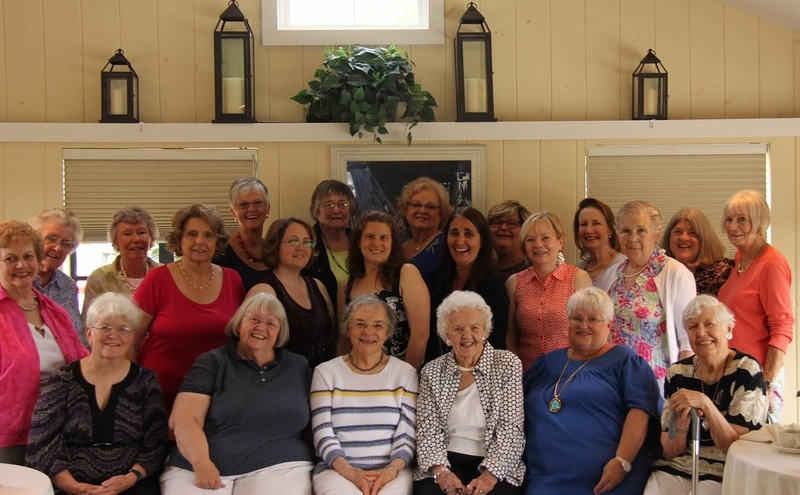 Diane W. Link and Cindy Smith were the hostesses for our September meeting and June Chittick was hostess for our October meeting. Thank you all. Our meetings did not have a formal program because we needed to discuss some of the upcoming events and our direction for this fall/winter. We hosted a Military Whist on October 16, 2015, along with a joint coffee hour after the 10 a.m. service on October 25 with the EECW (evening group). We will be hosting a Jeanette Koncz famous "Hungarian Cheese Spread" sale along with the EECW "Holiday Bread" sale in November. Our annual cookie sale will be held on December 4, 2015. The EECW and our group have several projects that we can work on or present together. In September, we provided lunch for the workers at the EECW's Tag Sale, and they provided refreshments for our Military Whist. They also offered to transport those who needed a ride to and from the Whist. We are very appreciative for their support! We will jointly sponsor the annual "Cookie Sale" at the Chili Supper in December. How wonderful to know that the ECW in all age groups are active, both during the daytime and evening. 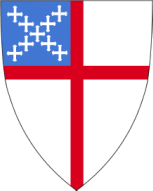 All Episcopal Church Women are members. Please join us at a time convenient for you. You can join the daytime group for lunch (informal) every Thursday morning in the Guild Room at 10:30, or the regular meeting and carry-in luncheon in the parish hall on the second Thursday of each month at 11 a.m. You can attend the evening group on the first Thursday evening of each month at 7 p.m. in the Guild Room. Best of all, you are welcome to join both groups! The very successful Military Whist held on October 16 was enjoyed by all who attended. This is a project that brings many from the community to our church and we are very happy to welcome them. We had a new addition this time, a "Silent Auction" for a beautiful 87-piece set of china. Carmel Castlevetro of North Branford was the high bidder. She was very happy to be the winner and will be sending the set to her granddaughter in Colorado. We wish them both years of enjoyment. November 5, 2015 EECW regular meeting in Guild Room, 7 p.m.
November 12, 2015 ECW regular meeting and carry-in luncheon in the parish hall, at 11 a.m. Mark Sullivan will present a program on our new church website. October 25, 2015 Coffee Hour jointly hosted by ECW and EECW. Sample our bread and cheese spread! Orders accepted now to 11/8 for bread and 11/15 for cheese spread. November 22, 2015 Pick up bread and cheese orders during the coffee hour after 10 a.m. service. Please remember to plan to bake your favorite holiday cookies. We need your help! The EECW is off to a great start! Our first meeting was May 7th, 2015, and we have hit the ground running. To date, we have hosted coffee hour, organized our first Tag Sale, which was a great success, and we are currently working on our holiday bread/cheese fundraiser. This will be our first attempt to work with the morning ECW and we hope we can enjoy many more activities with them. We don't want you to think that all we do is work. We did have two very nice social evenings, one at the Stone House, and the other, a wine and appetizer party, at Diane Kyle's home. So as you can see, we are not your grandmother's ECW! If you would like to come and join in the fun, we meet the first Thursday of each month at 7 p.m. in the Guild Room and finish the meeting at 8 p.m. Our next meeting is November 5th, which will be a planning meeting for the coming months. We hope to see you there! If you have any questions or wish to be added to our mailing list, please contact Diane Kyle at 203-915-0295, or email her at mdsdfame@yahoo.com. In the five years that Harrison has been with us, our Acolyte Program has grown in numbers, and this year is no exception. The first year of eligibility is 4th grade, so Sam Mayo, A.J. Lafata, Carter Bryan, and Kenneth Pelphrey, being new 4th graders, have joined the Acolyte Program at Christ Episcopal Church as torch bearers. Their excitement peaked as the date of their first acolyte assignment arrived. Equal to that was their parents’ pride as watched their youngsters come down the aisle for the first time! ​A few of these names you might recognize, as their older siblings are already acolytes: Sam Mayo joins his sister Alex, while Carter Bryan joins his sisters Natalie and Kayla. We welcome both parents and youngsters to the program. We have 20 youngsters on our list of acolytes, many of whom have been serving for five years, this being the start of their sixth. Seven of the acolytes have started or are in high school but continue to serve. We much appreciate their continued service. This summer the acolytes hosted their third car wash fund-raiser, and they also take part in other youth group fund -raisers: the spaghetti supper and the Christmas wreath sale. We hope to be attending, for the second time, the Annual Festival of Acolytes at the National Cathedral in Washington, DC, in the fall of 2016. More to come! By being acolytes, the youngsters serve our parish and learn to respect the traditions of our Church, carrying out their duties with great pride and reverence. If your youngster is in 4th grade through high school, he or she can become an acolyte. Training is ongoing. You have to be in 6th grade to be a crucifer and 4th -12th grade to be a torch bearer. They all start a little concerned in the beginning, but after that first time want to know how soon they can do it again! If you are interested in participating in this service, contact Pat Wakefield in the office or speak with either Harrison or myself on any Sunday.